In modern times, it is common to see students walking down the lane carrying laptops and devices. People won’t get surprised if we say that the education system has evolved with the time leaving traditional learning methods behind. Academic curriculum has made use of the latest technology such as smartphones, laptops, tablets or other gadgets obvious. Educational technology has made a blackboard, chalk and even books, a secondary source of learning. So, the students and even the professors are required to have portable IT equipment in their backpacks. But on the other hand, if we consider carrying the devices on the back every time and handling it with such care that it does not get damaged or stolen, sounds troublesome and to troubleshoot this laptop charging lockers are designed. Read the description in bullet points mentioned below to know why every school and college needs to install lockers which can facilitate personal charging slots in them. The students carry their laptops and other gadgets every day to their institutes either to take notes or work in between the lectures. 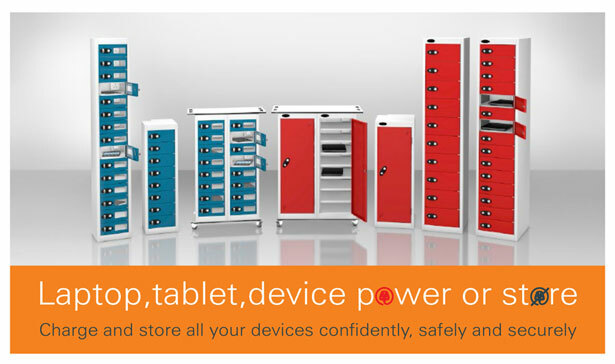 The major concern arises when they need a space to charge the devices they are using. Classrooms or even the study area is not well-equipped with a large number of charging slots, and that is where students face hindrance. Many educational institutes do provide laptops and personal computer in the libraries, but when students rush in massive numbers to do the required work, they do not find sufficient space. Thus, having a storage space which has charging facility inbuilt,then students can easily plug in their laptops and charge them and use at their own convenient time. They do not have to run around to find a place to charge the gadgets. Such an installation will eliminate the daily hassles. When laptops are kept in the lockers while they are plugged into the charging, then the emission of heat becomes difficult. Lockers designed with proper features of air conditioning are important. A solution like Lapbox takes care of this problem. Lapbox has a perforated panel which allows the heat to pass through it and decreases the chances of overheating of the laptop. When the students carry the laptops to their work they need a place where they can store it for the time being when they are attending lectures or when they do not require it. Lockers are the only solution when you want to store your belongings. Likewise, devices can be placed in it too, giving the option of convenience at the same time. With such brilliant solution students who think that carrying laptops to the educational institutes is bothersome, can get encouraged to bring it and use it for learning purposes. With this, they feel that they have their personal space to keep and charge their devices and do not have to wait in queues for using computers in the libraries or in the computer labs. The key objection that is raised every time is about the security. Students may hesitate to carry their expensive gadgets because of the insecurity. Lapbox, on the other hand, is designed keeping in mind the security features that are necessary to keep the devices or gadgets secure while they are not carrying it with them. The sturdy steel material with solid and robust hinges provides security to the locker door. The locking system used assures full security and eliminates any chances of theft. After thoroughly studying the advantages of having laptop charging lockers, the most unbelievable advantage could be its cost-effective attribute. How? While colleges and schools incur heavy costs constructing separate computer rooms, but the installation of such lockers can save that. As the students and professors would be carrying their personal computers, they can access it any time of the day. This will not only give extra space to be utilized for some other purposes, but also cut short the expenses that these educational institutes incur in maintaining these huge computer rooms throughout its existence. The multi-purpose benefits that a locker can provide convince us to invest in them for once. The way they turn out to be advantageous for our educational system and to satisfy the personal needs, it may be tricky to manage without such storage facilities now. If you are a part of the management team of any school or college, then you may be concerned about the safety, security, and the storage space for those the students and the professors who carry expensive gadgets to their workplace. However, with an amusing solution like Lapbox you need not worry about all these conflicts now. So why wait? Grab your devices to order now. This entry was posted on Thursday, September 6th, 2018 at 12:18 pm	and is filed under Laptop Lockers. You can follow any comments to this entry through the RSS 2.0 feed. Responses are currently closed, but you can trackback from your own site.